What do I need to be a guest on your podcast? For best results, Skype is the best way for me to record our conversation. I have a plugin that allows recording of us on two separate tracks, so I can edit the voices separately. If one of us is louder than the other, coughs or accidentally talks over the other, I can make it sound a lot better in the final mix. 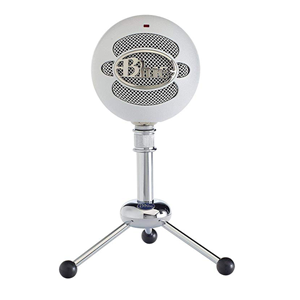 A nice, inexpensive starter mic for recording, podcasting or talking over Skype, Facebook Messenger, Google Hangs and other communication apps. 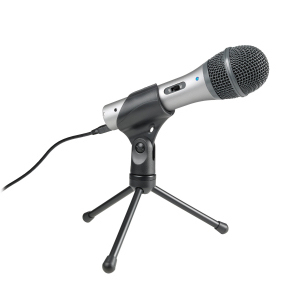 One of the most popular USB mics on the market for pros and amateurs alike. It’s a real work horse and a go-to for every situation. It has four modes… Omnidirectional, Cardioid, Bi-Directional and Stereo. A lot of people swear by this one! 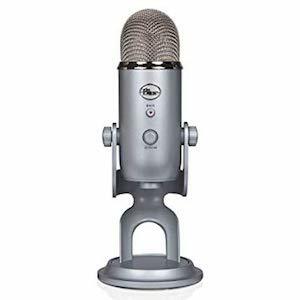 This is a great option if you want a mic that works as a USB mic or you want to use with a mixer, because it also has an XLR connection. Proof that the best options are not always the most expensive ones. Read the review on Amazon when you click on the link. Another great choice. Do you have a list of talking points in case I need something to jar my memory? This isn’t going to be a Q & A type interview. I try not to even use the word “interview” It’s a conversation between two people. We’ll be swapping stories of mishaps, adventures, gigs from hell, gigs that were heavenly and the folks we met along the way. So, if you have a story or two to tell, I want to talk to you. How long are these podcasts? Each conversation is going to be “warrior” specific). However, you may have a wealth of stories centered around different talking points. I have a list of talking points that I use based on my own experience combined with personal knowledge and research I may have done for my guests. If you are worried you might not know what to say or talk about, don’t worry. I’ll do my best to coax you along during our conversation. I’d like to keep it around 30 minutes. It can be a little shorter or a little longer – so 20 minute, up to an hour if you have a lot of good stuff to share. The worst case scenario? We make it a two-parter. Win-win. I’ve searched everywhere for your podcast. Why can’t I find it? The first episode will debut in mid-January. Check back for the Day, date and time. Youo’ll be able to find the latest episodes right her on the homepage. All will be archived and each episode will be accompanied by Show Notes. Fill out the contact form if you’d like to be on the mailing list! What is Tales of the Road Warriors and why now? This podcast is a lifetime in the making. I have been through many incarnations, I’ve been searching for – not just my niche – but my purpose in life. What can I do to really make a difference? I want to turn people on to other people who’s job it is to turn people on, primarily through their music. And while we’re up there entertaining you, ultimately, there is a disconnect between the performer and the audience. Our fans want to know more about what we do, and we as performers like to get validation from you as well as from each other. Hopefully, this podcast will help bridge the gap between the people on stage and the people who appreciate what they do. I also hope to connect some of the gifted people I know to each other in the process. May I suggest a guest or topic for a scheduled guest? By all means. If you’d like to hear from a particular persona or a member of their band entourage, contact me through the site and I’ll do my best to invite them to do a podcast. Have a question for an upcoming guest? Let me know and maybe I’ll squeeze it in. Please post any questions here. Answers will be added to this FAQ page.